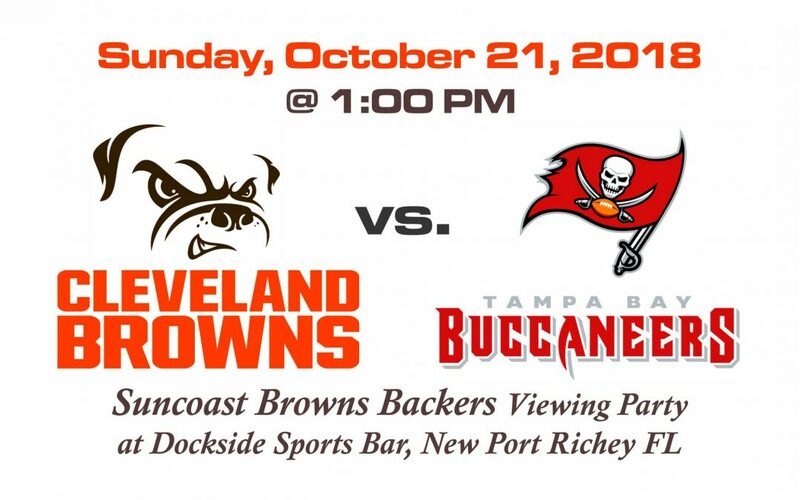 The Browns are in Tampa to play the Bucs! If you aren’t going to the game, come to Dockside Grille to watch it on the big screen with the Suncoast Browns Backers. Sunday, October 21st at 1PM! GO BROWNS!